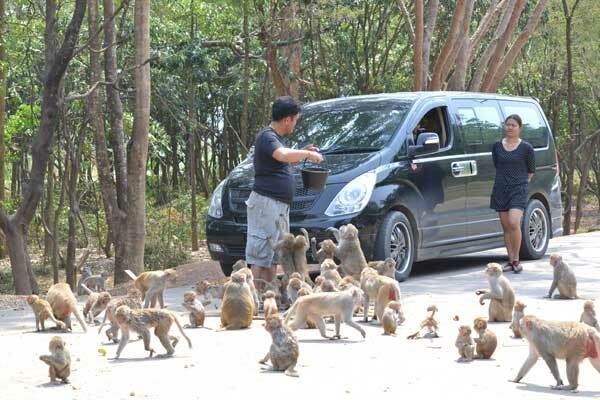 Observe behavior and usage of tail in rhesus macaque and pig-tailed macaque. 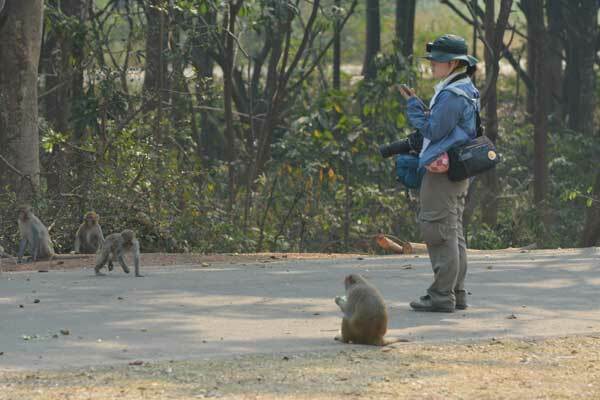 I observed rhesus macaque at Loei province in North-East of Thailand and northern pig-tailed macaque at Chumporn province in south of the country. I recorded the tail movement for 5 to 15 minutes by focal animal sampling method. I made a code to record the position of the tail, posture and behavioral action to type in to a tablet PC. I could collect 92 data sets from rhesus macaque and 112 data sets from northern pig-tailed macaque. From the difference of the morphology of caudal vertebrae, those two species were expected to show difference in movement limitation. Though not only that, I could observe difference between infant and adult in frequency of movement pattern. For rhesus macaque, tail was used for balancing when they leap from branches one from another. Adult male stick up its tail vertically to show his state in the group. 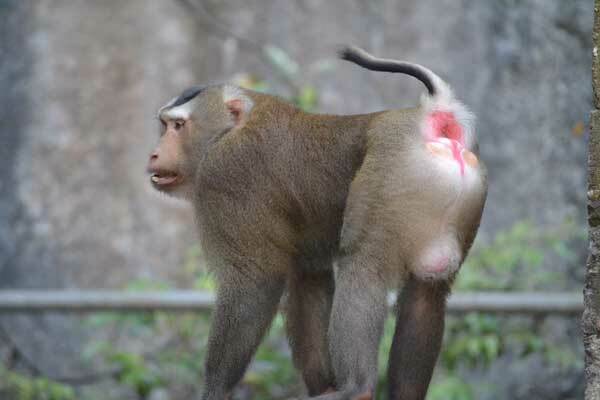 As for northern pig-tailed macaque, the characteristic behavior of adult male which is sticking its tail to its back and show its tail and buttocks, was able to do because their caudal vertebrae shape. I will analyze the data with the video recording and see the species specific movement of the tail.